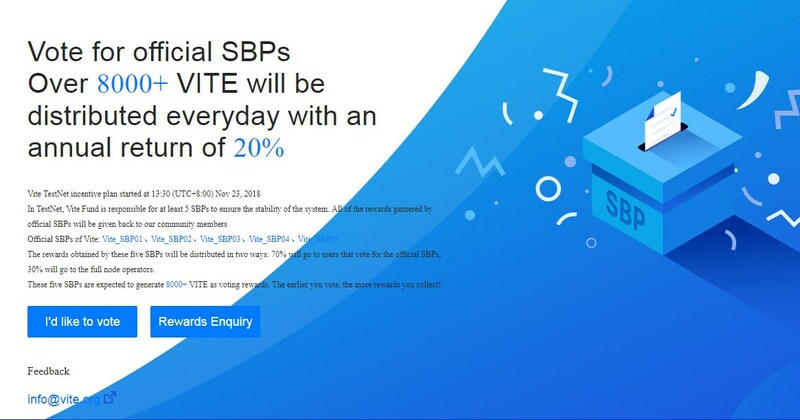 Get up to 1000 VITE tokens Worth $20 Every 24 hours - No Refer! 1. Go to the Vite airdrop page and scan the QR code to download Vite Wallet from airdrop page: http://bit.ly/2TIRBF9 2. Install the app and register for an account. Vite iOS wallet (Ver. 2.0.0) is officially released! Indonesian Translator for Vite Wallet Interface is Wanted! Fullnode reward is increased. 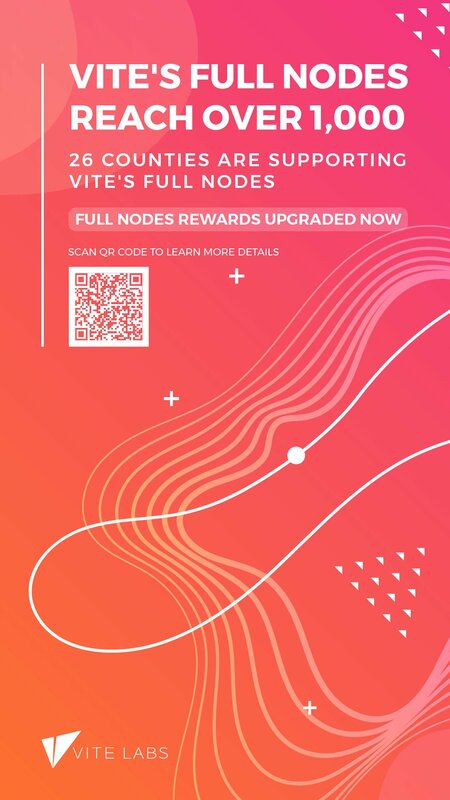 If you have not run a fullnode, join us to earn VITE! 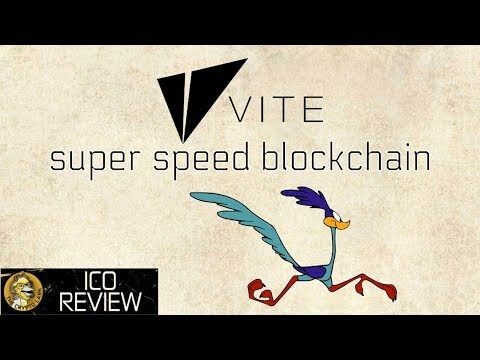 ViteX - a truly decentralized exchange built in Vite public chain. Are you looking forward to it? ViteX, a true decentralized exchange will be launched soon! Some useful articles for a full-node or SBP people! English quiz is released. 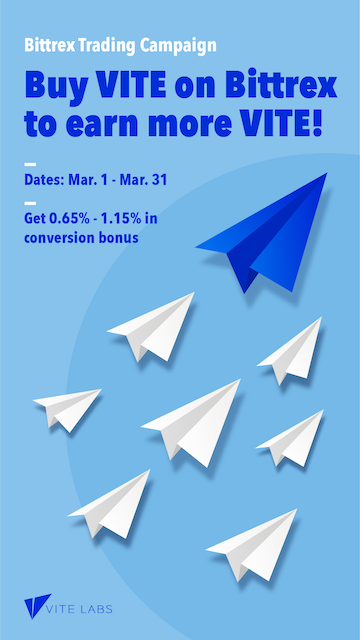 Join now to earn rewards! Technical Director Allen Liu and Chief Marketing Officer Luke Kim were recently interviewed by CryptoDealers. Vite Labs is in need of potential designers for the global store! Go join us now!